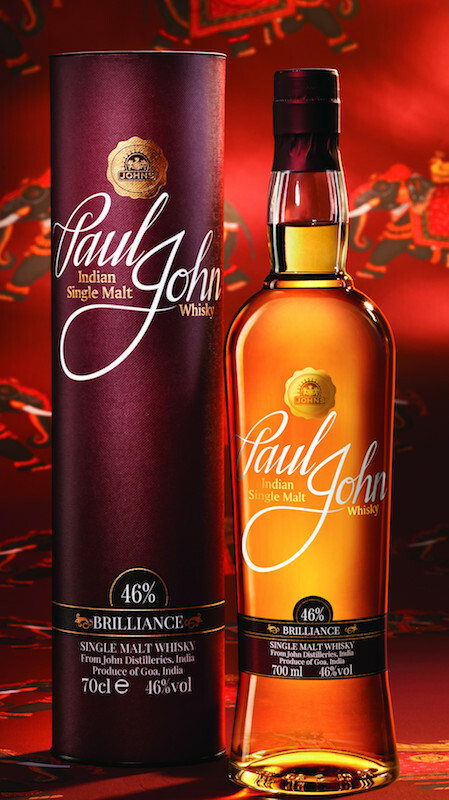 John Distilleries Ltd. has launched Paul John Indian Single Malt Whisky in the United States. Distilled by the tropical beaches of Goa, Paul John Indian Single Malt Whisky is crafted from six-row barley grains that grow at the foothills of the Himalayas. Harvested in the summer, the mature six-row barley is responsible for the “distinct smokiness and flavor of Paul John Whisky,” the company says. In Goa’s tropical and humid climate, whisky matures faster than it does in Europe or the United States, the company reports. Paul John Whiskies are aged for a minimum of five years. “We are excited to introduce a range of Paul John Whiskies in the United States,” explained Chairman Paul P. John in a press release. “Goa is a sensual delight of both sea and spice and the people here are welcoming and lively. They slow down and appreciate beauty, exactly the way a fine single malt should be experienced. Paul John is available in 750-ml. expressions including Brilliance (SRP: $60 per 750-ml. bottle), Edited ($65), Bold ($75), Select Cask Classic ($95) and Select Cask Peated ($100). Paul John Whiskies are exclusively imported in the United States by Domaine Select Wine & Spirits within their Classic & Vintage Spirits Portfolio.